Has your home damaged by extreme weather conditions such as storms or flooding? 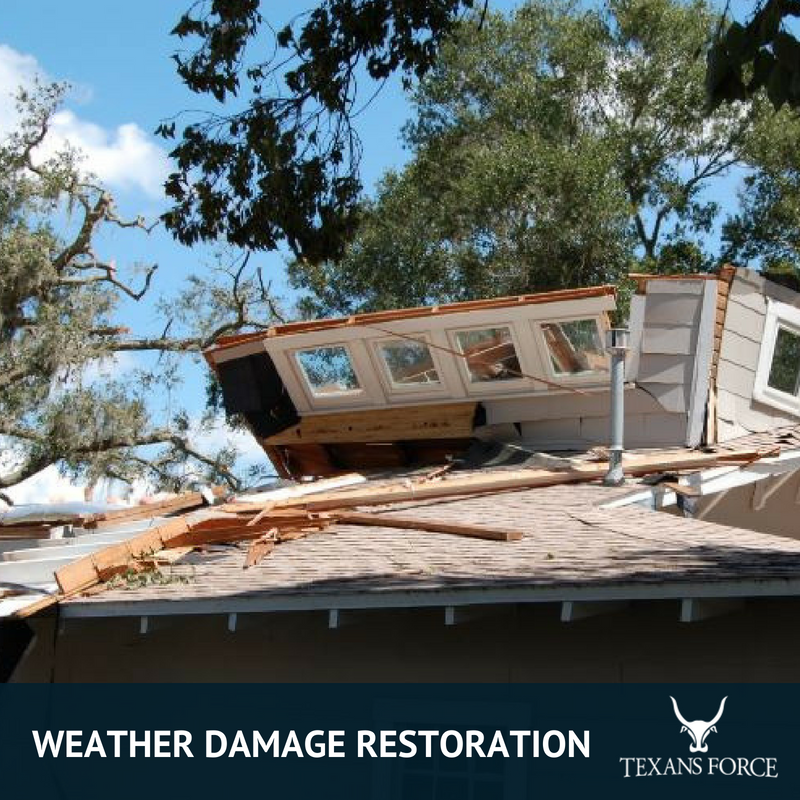 Texans Force specializes in weather and storm damage restoration in Houston and can help you recover quickly. Our staff is ready to respond 24/7 for weather damage restoration. Call us at 1-832-270-1779 if you need emergency service immediately. When your home is hit by mother nature, our team will respond quickly to prevent additional damage. Our team will assess the damage caused by storms and weather to recommend the best recovery options. 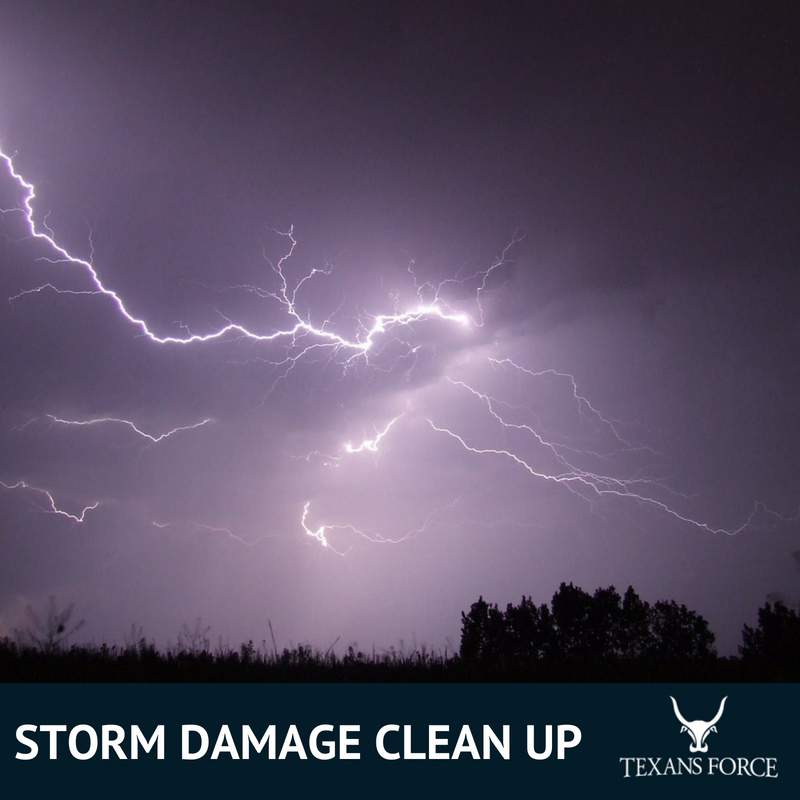 Our team will help clean up damaged such as falling trees, broken fences, leaky roofs and more. 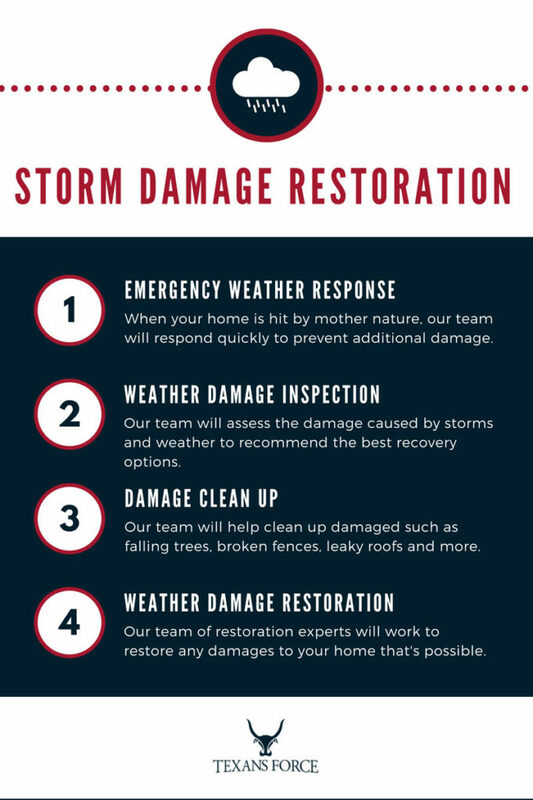 Our team of restoration experts will work to restore any damages to your home that’s possible. We try our best to restore as much as we can before debating replacement. Having your home hit by storm damage is a terrible event. You can make the situation much more manageable with fast response and clean up. Removing falling trees and repairing leaky roofs can go a long way towards preventing more damage to your home. We also offer additional services such as water damage restoration that can be helpful if abundant rain water has invaded your house. Leaving standing water in your home can lead to issues such as mold that will require further remediation. As with most home restoration projects, acting quickly is one of the most cost saving actions you can take. Here are some helpful places that you can look to for information on extreme weather conditions in Houston and surrounding areas.